Identification of company’s strengths and weaknesses. Remote video surveillance - the rapidly evolving security method to monitor, detect and identify the processes and events in the protected site and the object itself. For theft from business premises, many of their owners are turning to video surveillance and locking systems. While video surveillance cameras physically can not hold the criminal, but the video surveillance system is a great preventive measure in the fight against hackers. 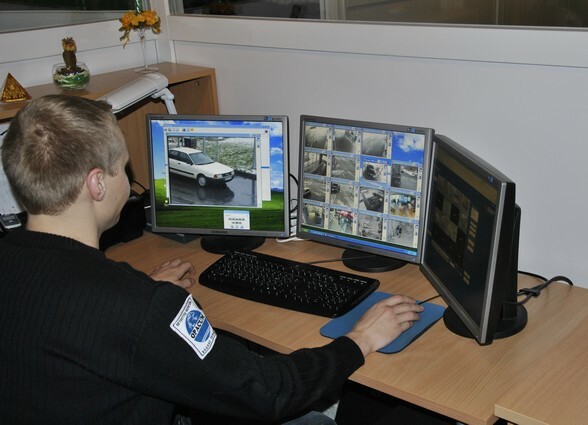 Often people prefer video surveillance systems, and remote video monitoring service as an integrated security system. High-quality video surveillance system has an obvious advantage in identifying an intruder or investigating and proving thefts. Video surveillance systems, and remote video surveillance is becoming increasingly necessary for businesses suffering from thieves or the bad reputation carrying people. per customers' request, we can connect our protected object to our monitoring center, which staffed by qualified professionals.